Our week seems to have been consumed with special days and events. 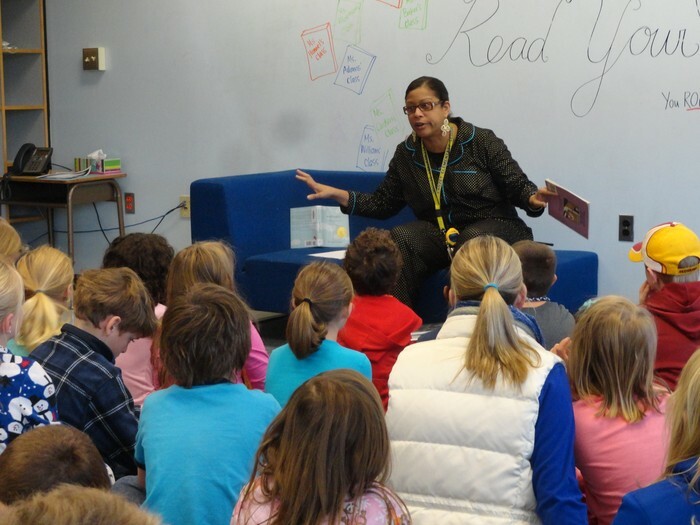 Last Thursday Ms. Crummie helped celebrate National Young Readers Week by reading to students and herself ALL DAY. She began the day reading a Shel Silverstein poem to the entire school during the morning message broadcast. During the morning she read to classes in the Wonder Lounge. In the after noon, one could find her in the homy living area provided by Third Grade. A great time was had by all. This special day was followed by our yearly Buddy Walk on Monday. Third graders were paired with kindergarteners in a walk around the playground as a gesture of friendship and making new friends. 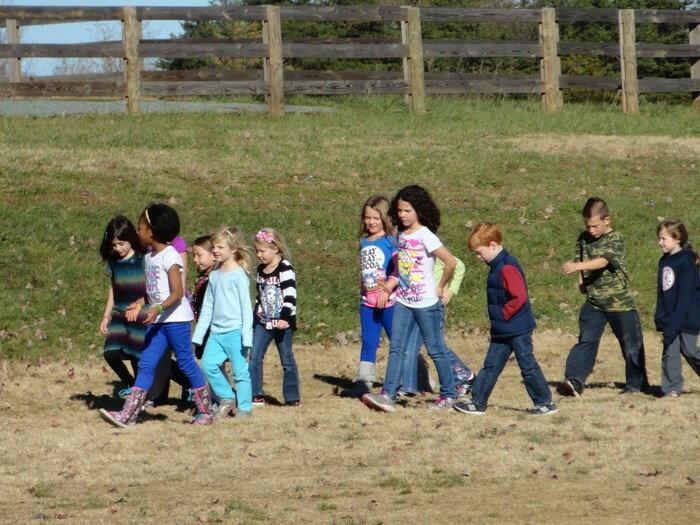 Today, our class and Ms. Huneycutt's class went on our walking field trip to the Crozet Library. Wendy Saz, the head librarian, gave the students a tour. They students participated in a sorting activity and Ms. Saz read to them. All students who had brought their cards or applied for one were allowed to check out books. Finally, we have begun our classroom mini-economy. Our society is called Equal Prosperity. We have designed flags to represent our society which can be found on our door.. All students will be doing jobs which help contribute to the society and will be paid for it in our class money, designed by Bella S. Everyone is very excited. Heads up: Next Tuesday I will be sending home a letter advising parents and students to begin thinking of what good or service they would like to produce for the class market. More details will be sent in that email! Students Make New Friends on the Buddy Walk! Ms. Crummie adds a moment of suspense as she reads "The Principal From the Black Lagoon." 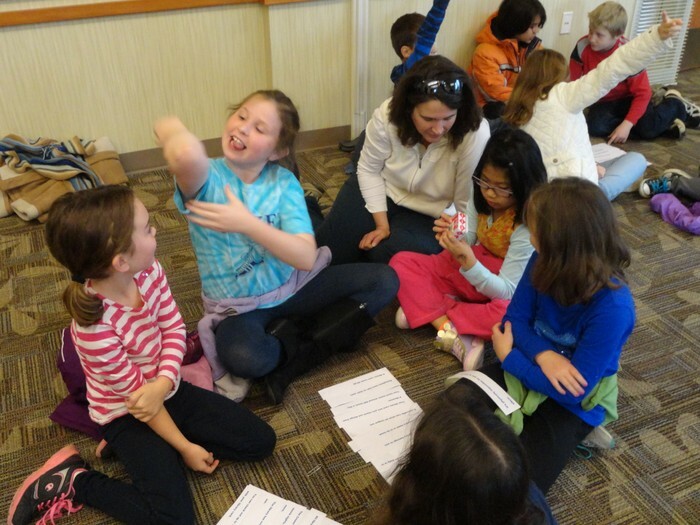 Students ponder this and other questions in their true/false sort activity at the library.